The WWE Draft exceeded expectations in excitement and presented one of the most compelling drafts in recent history. A deeper look into the first few rounds produces some fascinating stories and a real glimpse into the future of the company. No feelings were spared in the 2016 draft as the WWE wasn’t shy about bruising egos on the roster. Perception is reality and all of the rumors about politics and future pushes were answered by how talent got slotted in the draft. At the end of the day, there were more bright spots than disappointments and the future looks a lot different than it looked as little as a month ago for the roster. Here is a closer look at some of the biggest stories behind the picks in the 2016 WWE Draft. Picks #1 & 2: Seth Rollins (RAW), Dean Ambrose (SmackDown) – What a huge boost of confidence to these two. There were questions surrounding the future of Dean Ambrose heading into the draft. Was he a transitional champion? Was he an accidental champion, being in the right place during the right suspension? The answers are clearly no. Perception is reality here and the perception here is that Ambrose is the top guy on SmackDown. When we look back at Ambrose’s career we may cite this as the turning point for Dean. Of all wrestlers on the roster, he will likely benefit more than anyone from the brand split. Pick #3: Charlotte (RAW) – Again, going back to the theme of perception is reality, Charlotte is clearly being positioned as one of the top three stars in the company. My gut is that the WWE will do its best to try and capitalize on the void Ronda Rousey has opened up for a new mainstream women’s sports star/celebrity. It’s also a huge endorsement to the women’s division, something I never would have expected in this draft a year ago. Pick #4: AJ Styles (SmackDown) – I can’t recall anytime in this modern era of WWE that a newly signed star has risen up to the top of the cards as fast as Styles. It’s truly a break from the process that the company has instituted over the last decade in which a new star comes in and has to start over before even sniffing the top of the cards. Look no further than CM Punk and Daniel Bryan’s trajectories to look at the old plan in action. Drafting Styles ahead of John Cena, Roman Reigns, and Brock Lesnar tells me that the company is sold on Styles is not likely to be squashed during this Cena feud as many feared. Pick #5: Finn Balor (RAW) – Like Styles, this is a huge boost of confidence for Balor. And like Ambrose, he may benefit more than anyone from the brand split. This draft opened up the door to position Balor from day one as a big star. Without the draft we may have been fed goofy vignettes or another failed debut of an NXT star. Again, being drafted ahead of John Cena, Roman Reigns, and Brock Lesnar makes Balor a star from jump street. Additionally, the reaction from the crowd also supported his perception of being a superstar. Pick #6: Roman Reigns (RAW) – Reigns at six is a fascinating pick. I can’t help but think that without the suspension, Reigns would have been drafted number-one, two at best. In hindsight, the suspension probably changed the course of history more than most of us will ever realize. Not only was he not drafted first, he was drafted outside of the top five, behind Charlotte. With all due respect to Charlotte, that says a lot about how the company feels about Reigns. I will say it now. The Roman Reigns era is over…at least for awhile. Pick #7: John Cena (SmackDown) – Some are making a bigger deal of this than it should be. He’s always going to be a franchise player but with so many outside commitments, the WWE just can’t afford to build a show around him. I think it’s clear that he truly has settled into his role as veteran top-star booked to get the next guy for the title over. Pick #8: Brock Lesnar (RAW) – Would Lesnar have been drafted higher if not for thte media attention surrounding his drug test failures coming into UFC 200? It’s hard to say. I have to believe that if not for the failures, coincidentally coming a few weeks after a PED suspension of the WWE champion, he would have been drafted higher. Keep this in mind when you reflect on these controversies. If this draft was held a month ago, Reigns and Lesnar would have likely went in the top three. 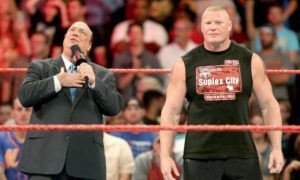 Lesnar isn’t going anywhere but the company is clearly distancing itself from him at this time, which unfortunately for him came during the draft. Pick #12: Bray Wyatt (SmackDown) – All of the rumors and reports about the company building around Bray Wyatt a few months ago was premature or just simply incorrect. Or was it Bray’s recent injury just one more injury too many for the company to take. There are cases like Seth Rollins where a guy gets hurt and comes back the same or even stronger. There are also many cases like Dolph Ziggler where a guy gets hurt and never reclaims his spot on the roster. Hopefully that is not the case, however it is clear that Bray Wyatt is not the building block most thought he was as we entered 2016. Pick #18: Kevin Owens (RAW) – If there was one big disappointment of the draft it was Kevin Owens. Owens was barely drafted in the top 20, which has enraged many on social media. Owens’ career on the main roster following his series with John Cena has been a bit of a roller coaster, with more slumps than ups. Just a few months ago there were rumors of an Owens-Undertaker WrestleMania match and now he is clearly being portrayed as a lower-mid carder. If there is an upside here (and there isn’t much) it’s that the guy is super talented and will have plenty of opportunities to work his way back to the top. As Bret Hart said in his book, you can’t hold back talent and at some point talent will trump politics. Oh, and he also remains on the same roster with Sami Zayn so that’s also a big plus. Pick #29: Alberto Del Rio (SmackDown) – Remember the big seven-figure contract that Del Rio reportedly signed to return to the WWE? Well whether that was true or not, one thing is certain and that is the company has no idea what to do with this guy. I can’t recall a return (maybe Batista) as squandered as Del Rio’s. He could have been big and he could have been a tremendous babyface, yet he went from dominating John Cena to feuds with Jack Swagger and Kalisto. Drafted behind Miz, Big Show, Dolph Ziggler, Baron Corbin, and Natalya says everything you need to know about where they see Del Rio’s future on the rosters.